So here is Shamo on BluRay ,this review is in association with yesasia.com who supplied the film to Kick'em in the Ghoulies for Review. 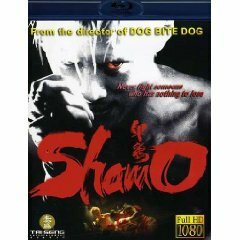 Now Shamo is a fight film with a gritty story that stars Shawn Yue ,Francis Ng,Bruce Liang,Dylan Kou,and Masato who is a legendary K1 fighter.The story comes from a Manga and Anime of the same name and follows the Character of Ryo here played by Shawn Yue.Now Ryo is convicted at a young age of killing his parents because he has had some kind of mental lapse,but is sentenced to a normal prison but only for a shorter period as he is a juvenile.Upon entering prison he is targeted by the other prisoners because of his wicked crime.He is beaton,Hung and Buggered as well as being tormented by the Warden.It is here that he meets Karate master Kenji Kurokawa here played by Francis Ng.Kenji is in prison for assassinating the Prime Minister.Here kenji trains Ryo to be the best he can be so he can defend himself,but when the Warden instructs Kenji to fight Ryo and kill him Kenji does not go through with it and is sent to another prison and Ryo is released . Now upon leaving jail Ryo becomes a gigolo scrimping to survive but when he starts watching MMA fighting he dreams of becoming a fighter and beat the Champion Naoto here played by Masato.And as well as this he wants to find his sister who left home after the killing of her parents and vowed never to see Ryo again.When he stumbles upon a club were girls are on the menu and one is named the same as his sister he investigates only to find she is leading him on and gets him in to a fight with the local gang members and leader who is a Karate instructer.This escalates in to a battle in the very place he wishes to star .The Arena were Masato is currently fighting a match.But when he is beaten and humiliated by a journalist who recognizes him from the Murders of his parents he flees.But the gang leader is impressed by him and lures him to his club so he could join and fight for him in the Lethal Fight competition against Masato.But this is not to be as the gang leader(Dylan Kou) is challenged by the organizer and owner of Lethal Fight and beaten ,here played by Bruce Liang.Now Ryo is assured he can fight in the competition if he beats the Gang leader who is running his own Karate club.Ryo fights and beats him and goes with Bruce ,but first he must fight a legendary kick-boxer and the plan here is to humiliate Ryo by bringing up his past and getting him killed in the ring.But when this does not come to fruition because his old Karate Master has been training him to fight the match (He was let out of prison early )Ryo is shunned and the match is made void and Ryo is deemed never to return to Lethal, Fight. So Ryo Abducts Masato's girlfriend and phones him.This is sure to get his attention and it does.Masato vows to fight him and with permission from Bruce providing Masato kills Ryo.On top of this the girl that Ryo met at the club is now his kind of girlfriend and has been looking for Ryo's sister and has found her.What follows is quite Brilliant. 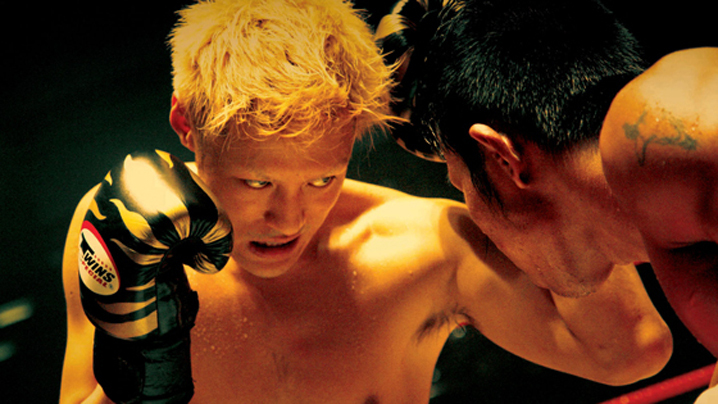 This is a blinding film and very violent in many ways from the prison scenes to the Matches themselves.But it's not just Shawn thet shines as Masato along with Francis Ng and Bruce Liang get good action scenes along with Taiwan Actor Dylan Kou. On the disc you get a an original Trailer from the film a making of feature and a lengthy feature featuring the stars talking about the film and showing the training they went through.Plus add a photo gallery and Multiple languages in the audio department this Region A BluRay release is good value considering what yesasia are selling it for.On top of that it played on my region B player with no problems.So thumbs up to Tai seng who released the film.So all in all a great start to my BluRay reviews.